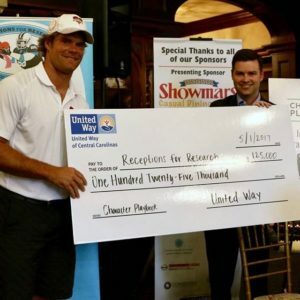 When Greg Olsen was named runner up as the Walter Payton Man of the Year just prior to Super Bowl LI, he did more than make all of the Carolinas proud. 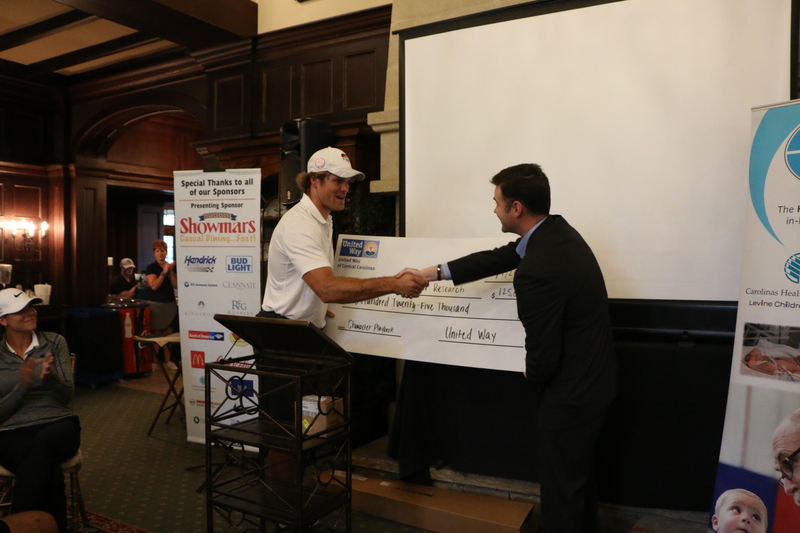 He also earned $125,000 for the expansion of United Way’s Character Playbook initiative with the Carolina Panthers. On Monday, United Way of Central Carolinas executive director Sean Garrett presented Olsen with his foundation’s portion of that award. 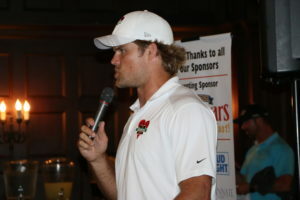 The occasion was Olsen’s charity golf tournament benefitting the HEARTest Yard, which supports families of babies affected by congenital heart disease. In conjunction with Levine Children’s Hospital, the HEARTest Yard provides in-home nursing care, physical therapy and speech therapy, all at no cost to the families or the hospital. The $250,000 in Walter Payton Man of the Year funds are courtesy of the NFL Foundation, Nationwide and United Way Worldwide. The other $125,000 supports local expansion of Character Playbook, a national partnership between the NFL Foundation and United Way that focuses on youth character development and healthy relationships during students’ critical middle school years. Launched in the Charlotte region in August 2016 by the Carolina Panthers and United Way of Central Carolinas, Character Playbook will now expand into other Carolinas markets thanks to Olsen’s award. Supported nationally by United Way, the Walter Payton NFL Man of the Year program is the only NFL award that recognizes a player for his community service as well as his excellence on the field. Carolina Panthers linebacker Thomas Davis won the honor two years ago.